Bradley Beal was initially mentioned as one of the players the Washington Wizards were open to trading. Now that the NBA trade deadline has passed, it seems that the whole thing has taken a turn. 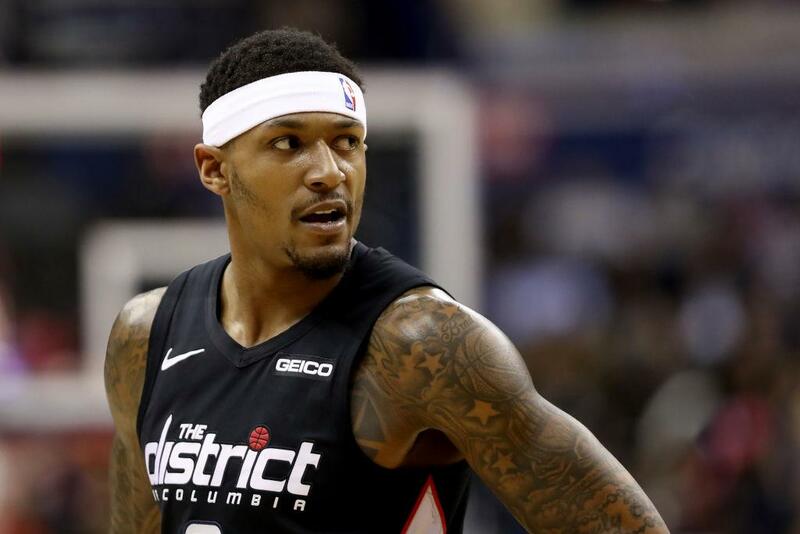 With John Wall falling to a season-ending injury together with the departure of Otto Porter, Markieff Morris and Kelly Oubre Jr., all signs point to Beal likely being the next franchise player for Washington. And while it was not directly mentioned in his discussions with team owner Ted Leonsis, the current status of the Wizards seems to clearly indicate that. According to the Washington Times, Beal and Leonsis spent time discussing the future of the franchise. The 25-year-old guard apparently wanted to know where the Wizards are headed, and it seems Beal was pretty encouraged after their talk. “I’d personally rather not talk about what we talked about, but it went really well. … It was pretty much just talking about what we’re going to do moving forward,” Beal said about his discussion with the Wizards team owner. Looking at the predicament of Beal, it somehow calls to mind the case of Russell Westbrook of the Oklahoma City Thunder. The explosive guard shared the spotlight with Kevin Durant before the 2014 NBA MVP opted to move to Golden State. Tasked to carry the load for the Thunder, Westbrook heeded the call. He would become the 2017 MVP highlighted by numerous triple-double performances. Could Beal do the same? At this point, the answer to that may be hard to predict. Beal has been known to be a scorer, but he needs to do more than that to be on par with Westbrook right now. With Wall out for an estimated 11 to 15 months, Beal will have to find a way to hold up the fort for the time being. Beal does have two years left on his contract with the Wizards after this season, but it does not look like he wants out, Clutchpoints.com reported. From the looks of it, there are bigger plans over the horizon for the Wizards, meaning something is brewing. The moves could go down in the summer with Beal as one of the foundational pieces. Hence, expect Washington to be in play when the top names start listening to pitches in the NBA offseason.